A historic mining area, once one of the foremost mines in the British Isles, now a Scheduled Monument and a valuable educational resource. 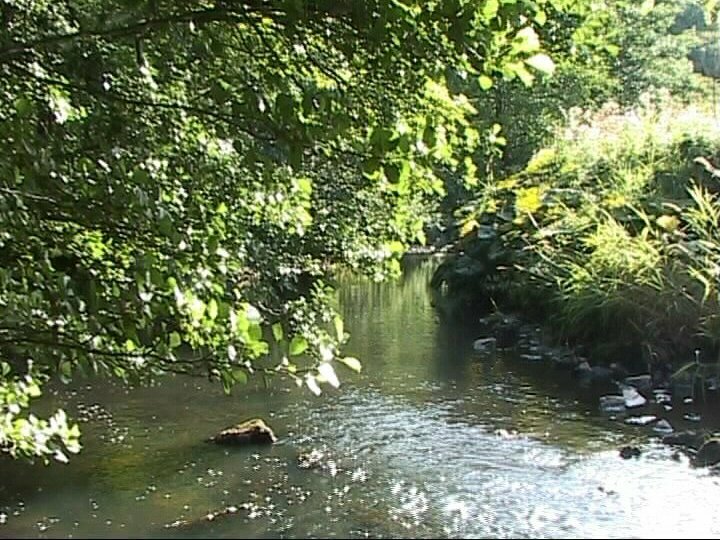 Why is Ecton so important and historic? A new book on the Ecton Copper Mines, detailing the outcomes of over 15 years of survey and research. This is one of the most comprehensive archaeological studies ever undertaken at a major historic mine in Britain. It details both surface and underground remains. Click to download a flyer for more details of this fascinating publication including ordering details. 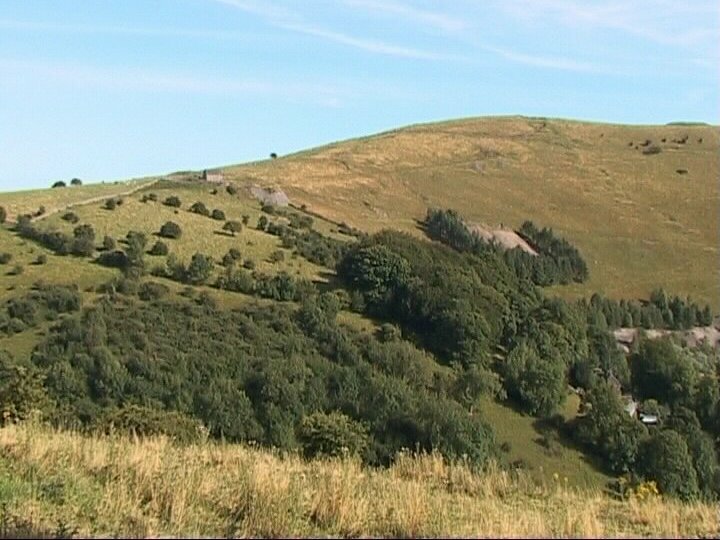 From Bronze Age times, the copper and lead deposits on Ecton Hill were worked for over 3500 years, ceasing in 1891. During this time fortunes were made and lost. In the 18th century the Duke of Devonshire made a profit of over £300 000, said to have financed the building of the magnificent Crescent in Buxton. Total ore production is estimated at over 100 000 tonnes, mainly of copper ore.
A detailed record of this very important and historic mining site. Commissioned by the EHFSA. Suitable for students and academics alike. With archaeologist John Barnatt. Filmed and Produced by David Webb. DVD Run time approximately 50 minutes. Cheque for £13.00 or £9.00 should be made payable to "David Webb"
Clayton Mine is the first major site to be visited and, with the help of archaeologist John Barnatt, what little is known of the history of this mine is related in detail and our journey illustrated with maps and plans. Perhaps the highlight of the trip is the long-abandoned main engine chamber with its whitewashed stone building eerily reflected on the surface of the 300m deep flooded shaft before it. Notice the blue tinting of the water caused by the presence of copper. Salts Level is the next port of call with its spacious haulage level and forbidding Engine Shaft alongside of which at surface is one of the most obvious features remaining on the hillside – the Boulton and Watt Engine House. Also seen are superb examples of the folding of the rock strata plainly illustrating the violent earth movements that took place when this range of hills was formed. The Main Pipe from which much copper was extracted in the early period of the mine is visited, and we descend through the pipe via the ancient ladderway to Deep Ecton Level below. Much more is known from surviving records about Deep Ecton mine, and John discusses with Len the complex history of the mine with its vast and productive pipe workings to depth. The many haulage and exploratory tunnels are visited and their function explained. The huge underground spaces of the “hollow hill” are truly amazing with their deep flooded shafts and evidence of hauling by capstan and pumping by water wheel. Also discussed is the unusual flop jack water pump used to pump water from depth. 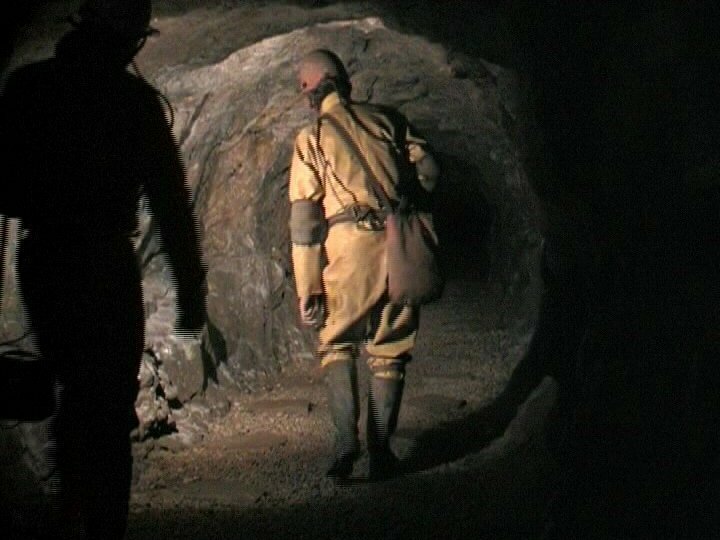 It is perhaps worth pointing out that many of the mine sites that you will see in this film are no longer accessible, were filmed many years ago and added for the sake of completeness. It is equally important to mention that those workings that were filmed during the making of the film are very extensive and require special skills and equipment to explore, and do not form part of the usual activities offered by the Centre. Certain sections of Salt’s Level however can be visited, but for reasons of safety a descent of the ancient ladderway as seen in the film is not possible. Filming underground is quite unlike any other image recording you are likely to encounter; for a start you have to carry with you and carefully position every bit of lighting needed, since the darkness underground is absolute. Neither does electronic equipment sit well with the persistent cold, humidity and constant dripping water found in most of our caves and mines, not to mention the all-pervading mud and grit! In producing this DVD yet another challenge was thrown into the pot, since like the “Time Team”, we had only four days to complete the project. It is nothing short of miraculous that we succeeded in getting the pictures we needed to do this fascinating site justice, and I am grateful to my patient and supportive camera crew without whom it would not have been possible. 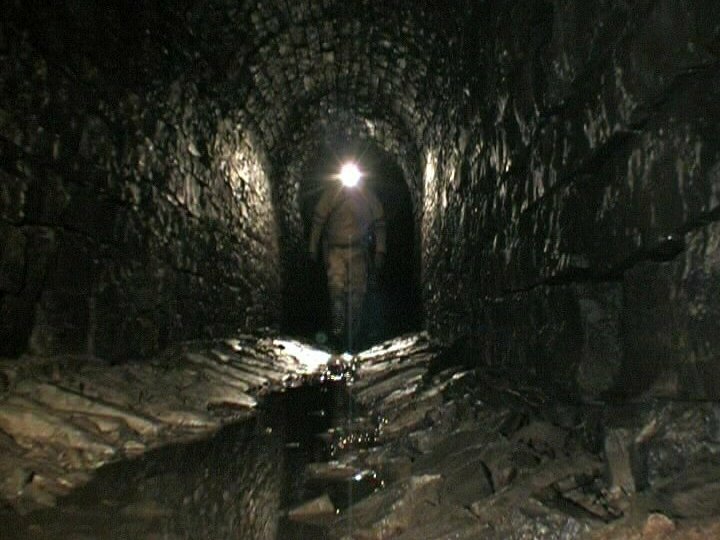 The film opens with a brief look at the history of the mines (mining has taken place here since the Bronze Age) and their special geology and rich mineralization which resulted in their exploitation to great depths over many centuries. The hillside is littered with the remains of buildings, excavations and waste heaps. Several of the many smaller mines on the hill are visited, where the gradual process of decay since the mines were abandoned is very evident. However, nature has been at work since this time and over the centuries stalagmitic deposits have coated passageways in spectacular and colourful ways.